commented on "Cool morphing things happen to a Strat with a Silver Nova pickguard. You have to be in the same room! 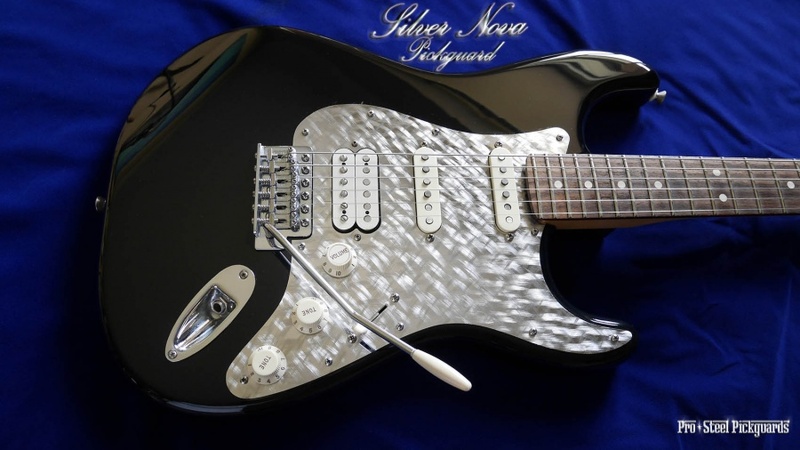 ..."
Cool morphing things happen to a Strat with a Silver Nova pickguard. You have to be in the same room! It's alive. This Strat sparks from any angle. Like 3D, as a small percentage of scattered mirror surface is remaining. Photos in blue were taken in all natural ambient daylight inside the building, without artificial lighting.